What a beautiful day for our third Walk in the Woods! Guided by the knowledgeable and enthusiastic biologist, Marian Bailey, our walkers today enjoyed learning about 30+ species of plants of the forest understory. Here is a gallery of a dozen of the flowering beauties we observed…all accompanied by the songs of the Pacific Wren, Purple Finch, and Chickadee. 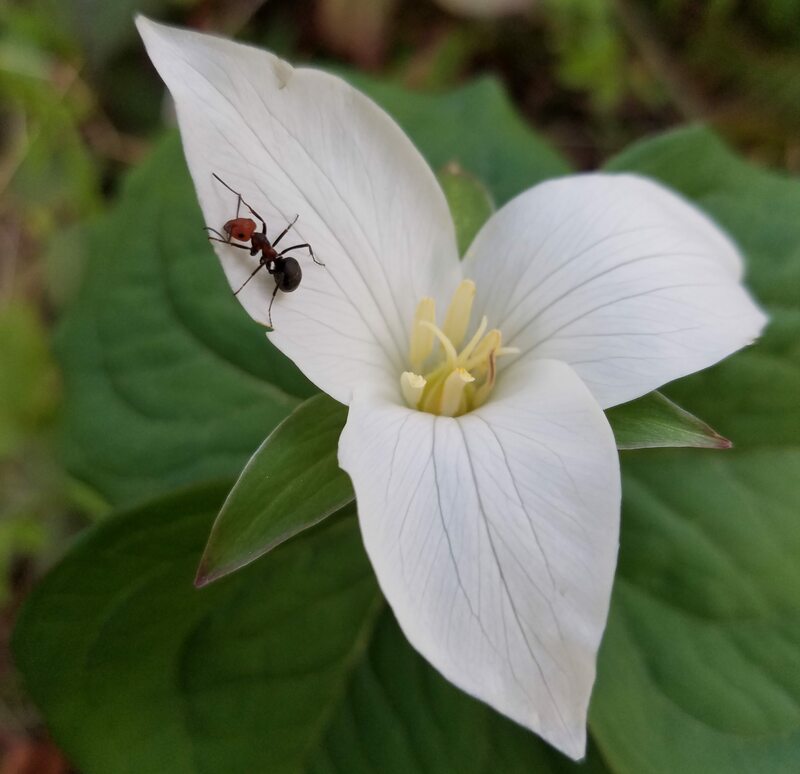 Though the Trillium and the Pacific dogwood blossoms were real knockouts, many of the blossoms we observed were small and delicate. You have to do the “naturalist’s shuffle’ to fully appreciate the rich tapestry of plants in so many shapes and shades of green. Thank you, Marian, for opening our eyes to the exquisite and subtle beauty of the forest floor. Join us on our next Walk in the Woods! They’re free, kid friendly, and fascinating. Sunday May 20 9-11:30: Biologist, forester, botanist, ecologist Ted Thomas will be leading us through the woods to help us identify more species of trees and plants. We’ll be collecting data with an easy-to-use smartphone app called iNaturalist. You can download it for free at iNaturalist.org Be sure to join our “LBA Project” page. This is a citizen-science project and we need all eyes, ears, and curious minds to participate. We need non-app users, too, to help us key out species. This entry was posted in iNaturalist, LBA Park, LBA Woods, Nature Walks, Trails, Walking and tagged Citizen Science Projects, Events in LBA Woods, Friends of LBA Woods, iNaturalist, LBA Park, LBA Woods, Nature Walks in Olympia, Olympia City Parks, Urban Forests.